Looking for a few activities for couples in Cape Town? 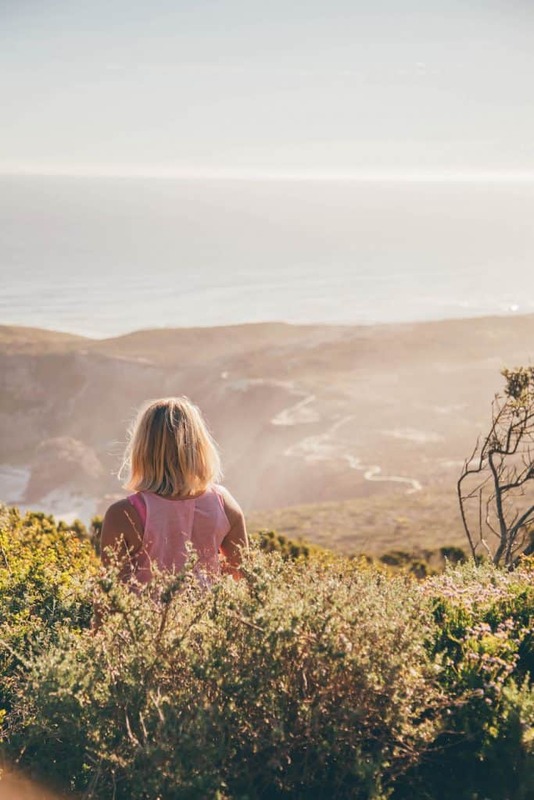 After two months in the city, we feel pretty confident we can share the best romantic things to do in Cape Town. It is the longest time as a couple we have spent in any one place that we were not actually living in. Needless to say, we fell in love with Cape Town and even now we are a little sad to be leaving. With two months in the city, we were certain to find some romance. 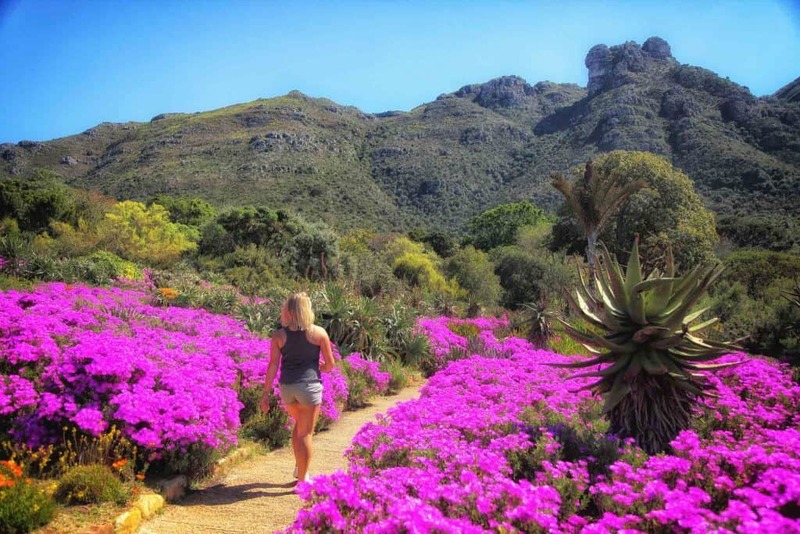 A trip to Cape Town really isn’t complete without a stop at Kirstenbosch Gardens. Situated at the eastern foot of Table Mountain is the beautiful 528 hectare garden with five of the six South African biomes. There is plenty to see and do here for the family; however, we loved having a romantic stroll on the treetop canopy. When our feet were planted back on the ground we spent the rest of the day strolling around the huge grounds and admiring the spectacular views of table mountain. I would recommend planning at least a half a day at Kirstenbosch, and to try and visit on a sunny day! The Victoria & Alfred Waterfront is one of Cape Town’s shining stars and is definitely one of the main tourist attractions in the city. 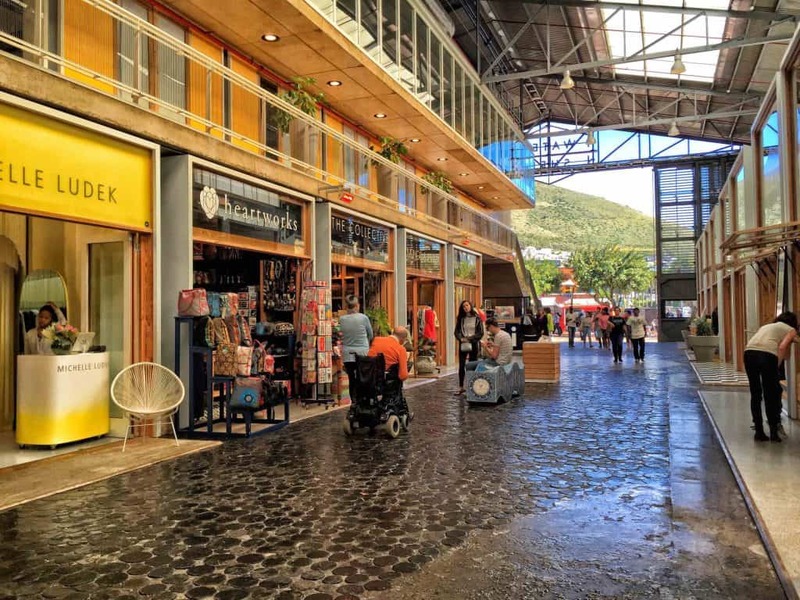 It’s the perfect place to visit on a nice day and stroll around the harbor, try some artisanal food, or go shopping for souvenirs. We always ended up at the waterfront on days where we had no idea what to do with ourselves. There is always some form of entertainment here, and it is just a beautiful place to relax. We went to a few movies at the Nu Metro for the price of R65. And you can dine at some of Cape Town’s finest establishments, or go crazy in food lovers paradise inside the Market on the Wharf. If you’re looking for things to do in Cape Town at night this is probably your best option. 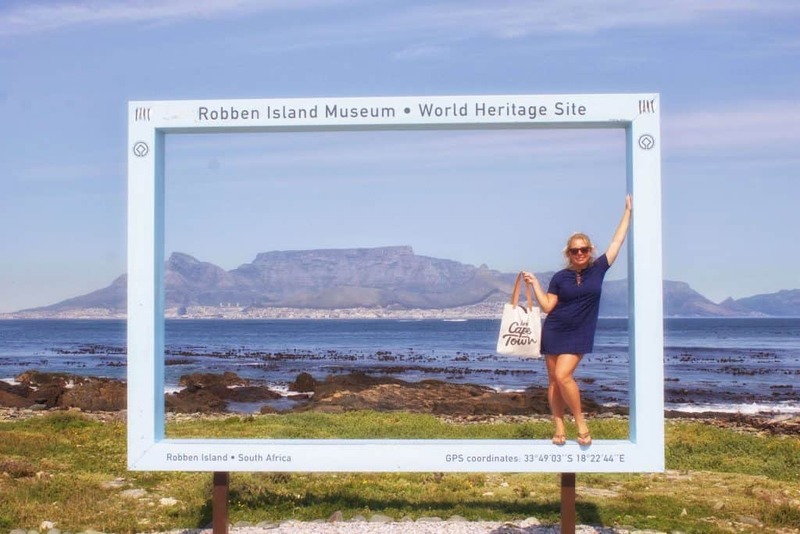 While you’re at the waterfront you may as well book tickets to Robben Island. The waterfront is the “gateway” to Robben Island and all ferries leave from here to take visitors to the famous site where Nelson Mandela spent 18 years of his life. Once you get to Robben Island you will move to a guided bus tour which will take you to all the stops on the island. Towards the end of the tour, you will be met by a former inmate of Robben Island whom will walk you through the days of the past and show you some of the sad cells that political prisoners were forced to remain in. The whole Robben Island experience takes about 3.5 hours and costs R320. If you’re in the mood to take a walk somewhere then there is no better place in Cape Town than the Sea Point promenade. The promenade stretches for 11km around Seapoint overlooking the beautiful ocean. Along the way, there are outdoor fitness parks, installation art, and swimming pools. Perfect place to come for sunrise or sunset in Cape Town. Chances are if you are a visitor to Cape Town there is no way you’ll be missing Table Mountain. The impressive mountain landmark truly defines the beauty of Cape Town and draws people in from all over the world. There are two ways to get up, the cable car or a nice hike. We did both and they are equally enjoyable! Once you are at the top, you will probably want a few hours to meander around, take in the views, and have a glass of champagne in the cafe at the top. There may be two ways up, but there are infinite ways down. Try abseiling for an adrenaline rush! Yes, you can get to the tip of Africa from Cape Town! Cape Point is located in the Cape of Good Hope Nature Reserve and is where the Atlantic and the Indian Ocean collide. There are some fantastic hiking trails, a cafe, a historic lighthouse, and even shipwreck alley. The cost to get into the reserve is R125, check the hours for today here. What if I told you there was a place near Cape Town where you can watch thousands of penguins waddle, dance, and talk to you? Well, there is! Okay, they aren’t really “talking” to you, but they do make that noise that penguins make. 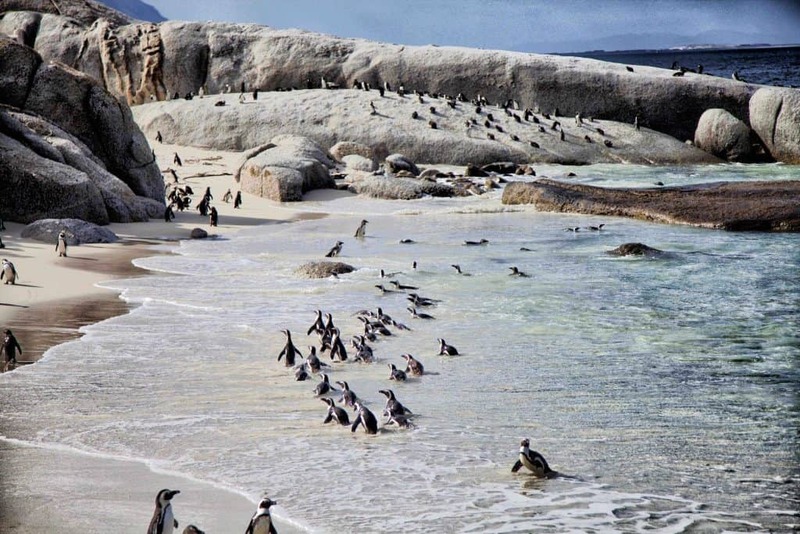 A half-hour drive from the center of Cape Town is Boulders Beach, a beach where humans can observe wild African penguins at a ridiculously close range. This is one of the most fun things to do in Cape Town for couples! The cost to see the penguins is R65. It is a protected area of the Table Mountain National Park, and the penguin colony was reintroduced here and ever since then they have flourished. With nice boardwalks looping around the main beach, Foxy Beach, visitors can observe the funny birds without interfering with their natural way of life. If you want a date night idea you can’t go wrong with dinner and drinks. There is something to eat for everyone in Cape Town. From sushi to Ethiopian cuisine, to a multicultural show with African flair there is no way you will go hungry in this city. So go enjoy one another’s’ company and have a romantic dinner out at one of the many nice restaurants in town. The best part about dinner out? Dining in Cape Town is incredibly affordable on an international level – so go ahead and get that extra glass of delicious Stellenbosch wine! Another fun thing to do in Cape Town for coupes is visit Bo Kaap neighborhood. 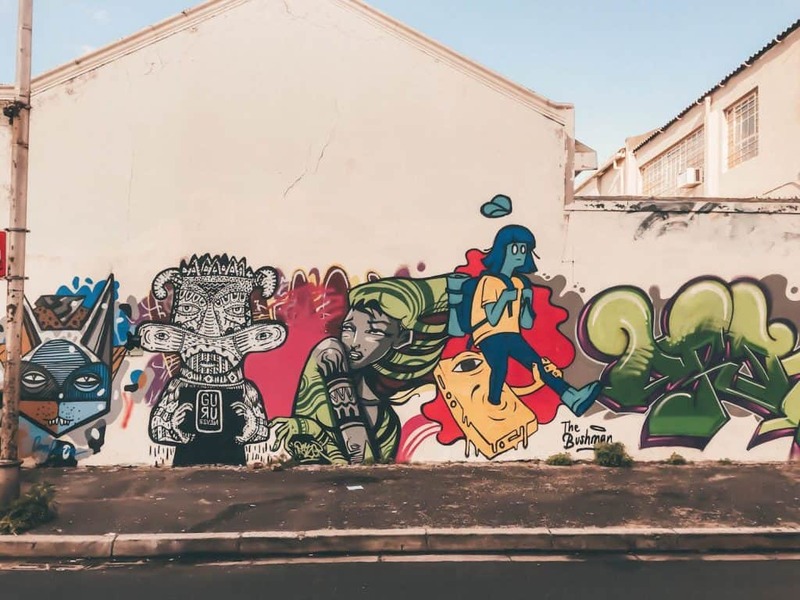 If you’re on Instagram, then chances are you have seen photos of the Bo-Kaap neighborhood of Cape Town. 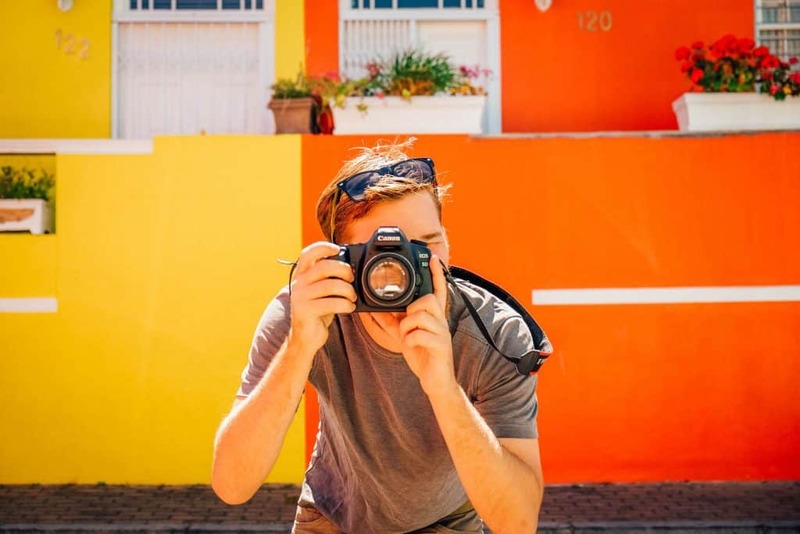 The brightly colored buildings of this Cape Malay neighborhood makes it a popular stop for tourists with cameras and one of the best places to go in Cape Town. 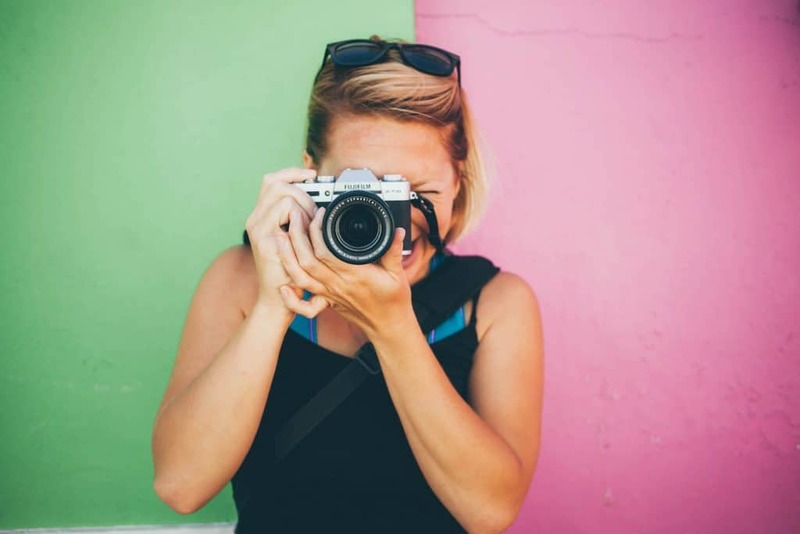 Take some time and stop by to get your photos in! Bo-Kaap is within walking distance to the Cape Town CBD. I’ve said it before and I’ll say it again, but there are some serious adventurous things to do in Cape Town. From Seal Snorkeling to Canyoneering, and even bungee jumping off the world’s highest bungee bridge there is no way you will go bored in this city. Go ahead and egg each other on to do something crazy. These adventures can turn into one of the most romantic things to do in Cape Town! And science does say physical activity together increases intimacy and communication. Every weekend at 31 Harbour Rd the town of Hout Bay takes on some of the finest bakers, artisans, artists, and food creators in Cape Town. You can come here to get just about anything to eat, but perhaps the fish is what many of the booths specialize in. Don’t come full or with an empty wallet because everything in sight looks delicious, and the handicrafts are unique. If you are without a car in Cape Town, I highly recommend renting one for at the least the day so that you can drive Chapman’s Peak. 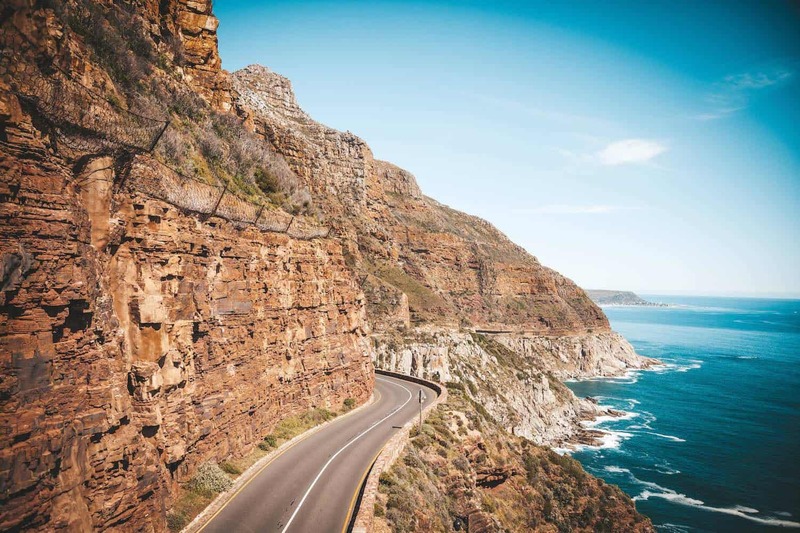 This is one of the world’s most scenic drives and is definitely worth the R42 toll to drive on this beautiful road together. 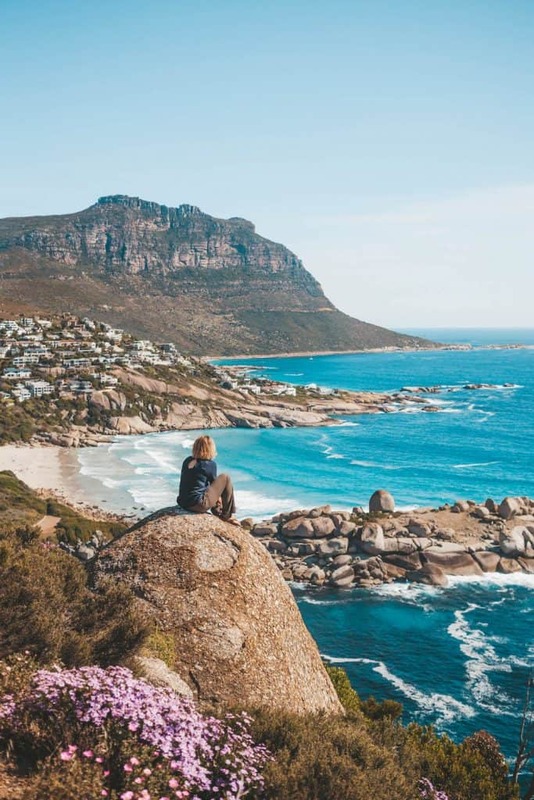 One of the most romantic places in Cape Town is the Tintswalo Atlantic hidden along Chapmen’s peak. It’s definitely a splurge-worthy stay for a romantic weekend getaway in Cape Town. Woodstock is a hip neighborhood in Cape Town undergoing some serious gentrification right now. What does that mean? Amazing street art in the city! We enjoyed an afternoon of walking around and snapping photos of all the impressive street art in the area together. 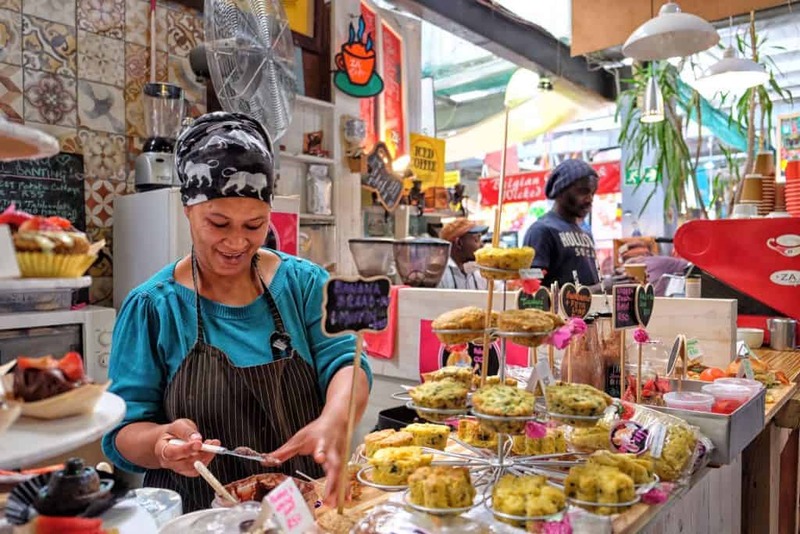 There are plenty of cafes to duck into including the Old Biscuit Mill, which is best visited on weekends in Cape Town. Only have a few days to explore the Mother City together? Perhaps taking a sightseeing bus tour of the city is the best bang for the buck at R170. 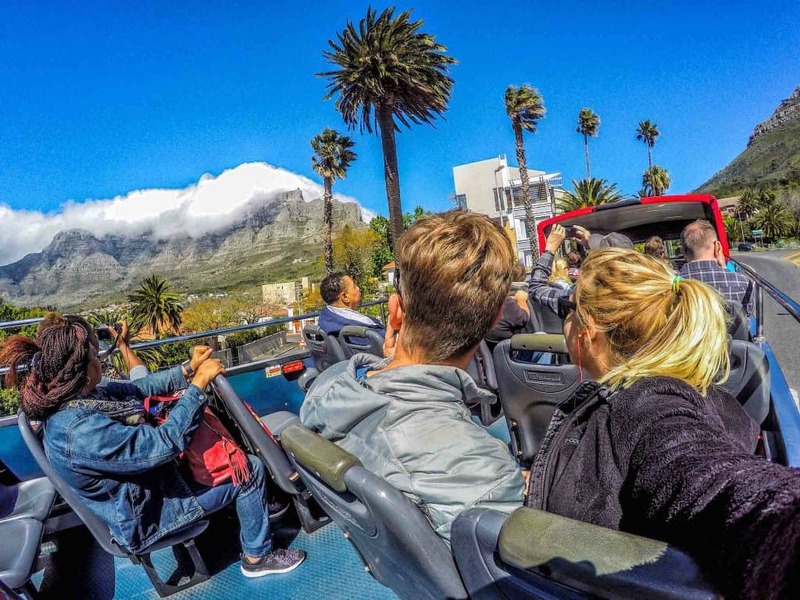 It may not seem like one of the most romantic things to do in Cape Town, and I know sometimes these tours seem a little touristy. However, it really is a great way of getting around the city together and visiting all the notable sites in the city. 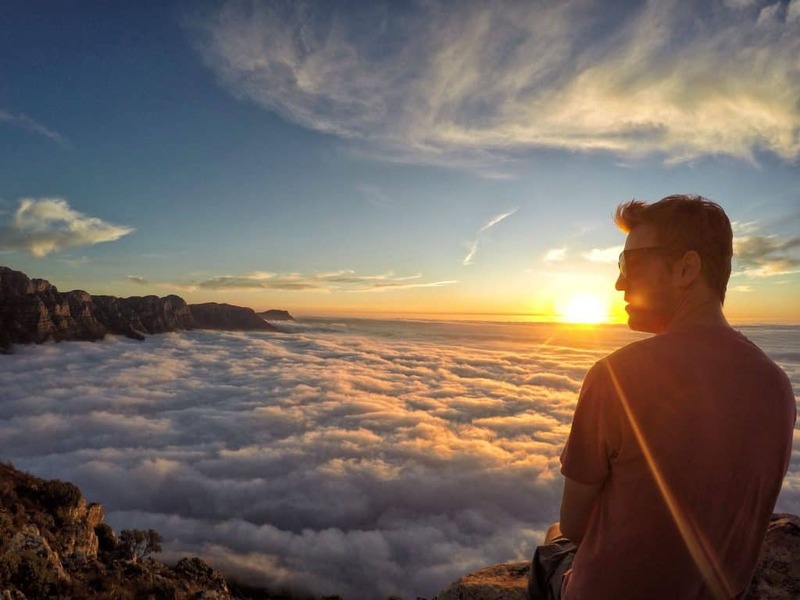 A hike up Lion’s Head is much less effort than hiking Table Mountain, but with the same incredibly rewarding views. 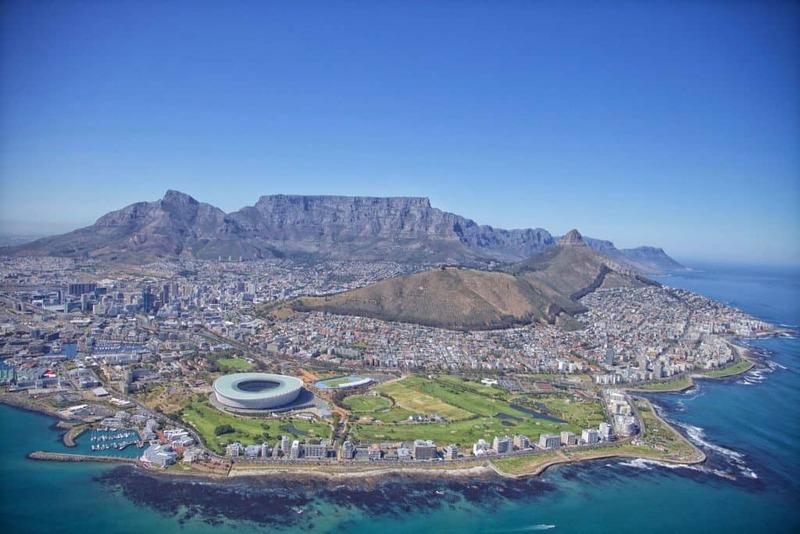 This is a must for anyone visiting Cape Town and is very popular with locals and tourists alike. The hike takes about two hours round trip and is best at sunrise and sunset! 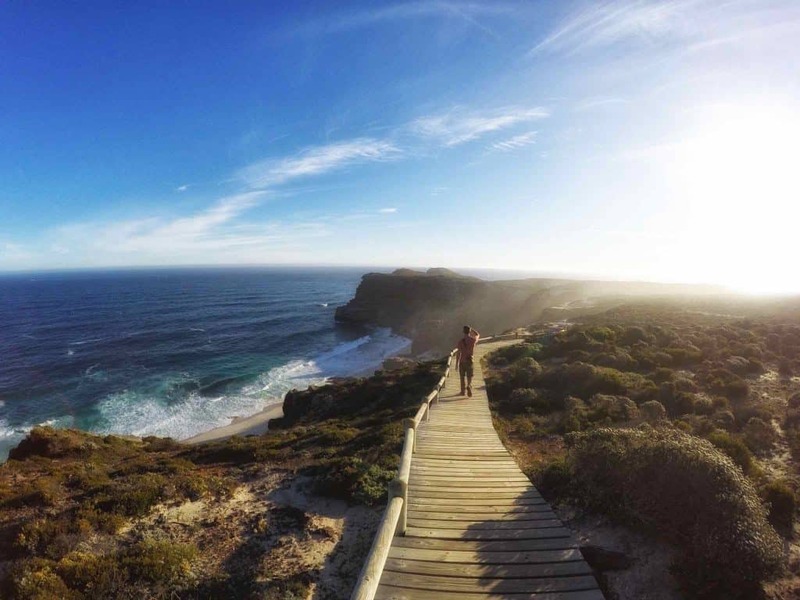 Don’t forget a camera – the views are incredible! 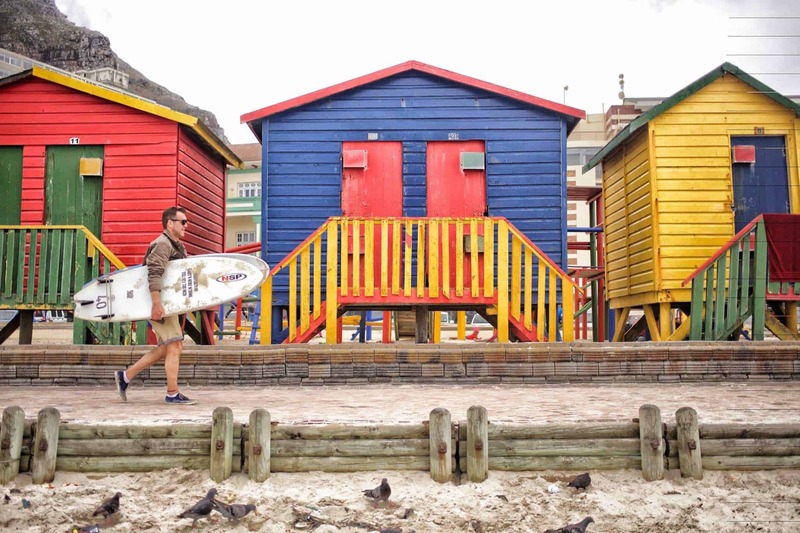 Muizenberg is right outside of Cape Town and is the heart and soul of surfing culture in South Africa. The vibe is even more laid back here than in Cape Town. There are dozens of cafes, yoga shops, and beach shacks to wander into. If you’re feeling adventurous then rent a surfboard and wetsuit and try a hand at surfing together. Be sure to check out one of the many yoga studios for some yoga on the beach! We came to Cape Town thinking it would be a big city with big city transport options available. This was NOT the case and there really is no efficient way to get around Cape Town. The best way to see all of the amazing things this city has to offer is by car. There are many options to rent in South Africa for an affordable price. Our partners, Happy Campers, are great for those looking to do a short road trip around Cape Town and South Africa. Check out their rates here and use the code TWP5 for a 5% discount! Uber is also a really popular and safe option in the city and is incredibly affordable. If you are on a major budget then the MyCiti bus is always available to get you to your destination. Is it your first time driving abroad? Check out our tips! Cape Town has some fabulous Airbnb’s to choose from. Here are the exact two we stayed at in the city (HERE and HERE) We stayed at many around the city and it makes us feel more at home when we are abroad. You can check out some tips and read more about getting an Airbnb coupon code here. Or just take this coupon for your first stay! Due to its charm, class, level of service, intimacy, character, and stunning location, The Tintswalo Atlantic takes our top accolade for romantic places to stay in Cape Town. We loved our room so much we never left them except for a quick dip in the heated pool and to have dinner. With only eight individually designed rooms the hotel is charming and intimate. Rooms have features such as tubs with views over the bay and a wood stove for when the winter winds blow. 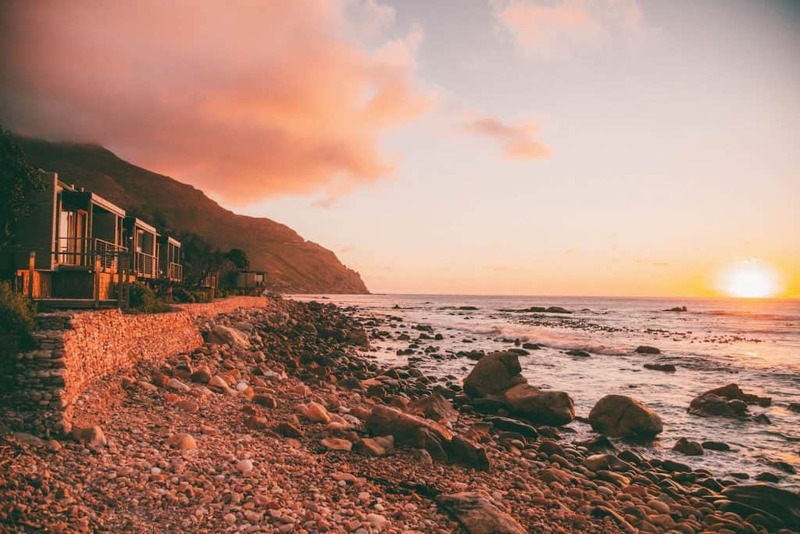 Evenings at the Tinstwalo feel like a dream with sunsets over in Hout Bay, bubbles, plush bathrobes, and some evening canapés. 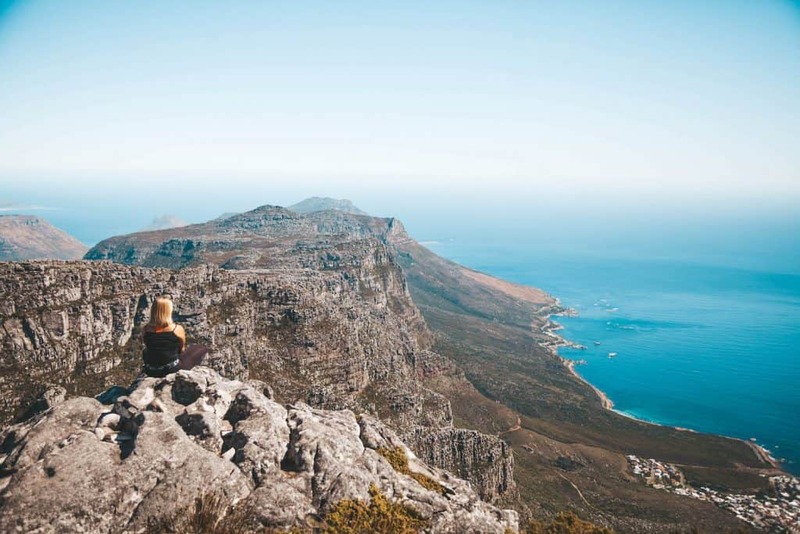 To give it that final boost to the top it’s the only accommodation in Cape Town that is located inside Table Mountain National Park, how fitting. In the end, though, what separated the Tintswalo from the other hotels on this list is the intimacy. The Capital Mirage is one of the newest hotels in Cape Town. The modern digs are studio apartments and perfect for business travelers. The studio apartment allows for a more like home for those needing to stay a week or more. Amenities like real high-speed internet (our tests got 26mbps), washer and dryer, full kitchen, multiple restaurants on site, and a TV that connects to your laptop set it apart from other hotels. When finished with the day guests can head to the roof where The Vue bar offers stunning views of Table Mountain and a rooftop pool. In the digital age, this is the hotel that checks off all the best hotel boxes. They also get bonus points for bringing us room service sushi at a good price. We never travel without travel insurance with World Nomads. World Nomads offers incredible flexible and great plans! Sometimes it’s nice just to have a real book in your hands when traveling. We recommend picking up a Lonely Planet to get you through the wireless nights. You’ll need this adaptor in Southern Africa, and this one in Eastern Africa. Make sure to protect your eyes from the sun in Africa since you’re near the equator. There are a lot of options for sunglasses and everyone should own at least a pair. It’s best to make sure they do have UV protection for the health of your eyes. We made our first investment in quality polarized sunglasses with a pair of SMITH Optics Lowdown 2. Truthfully, not everyone needs to invest $150 in a pair of sunglasses, but they do make a huge difference from the crappy $10 ones. Skin cancer is for real! Don’t forget your SPF when traveling to the around Africa. We recommend ordering some online before leaving the house as you will need it underneath the African sun and it can be very hard to find outside major cities. We highly recommend getting an eco friendly sun cream that does not contain harmful chemicals. They’re mineral based and usually only cost a few dollars more to help protect our oceans. 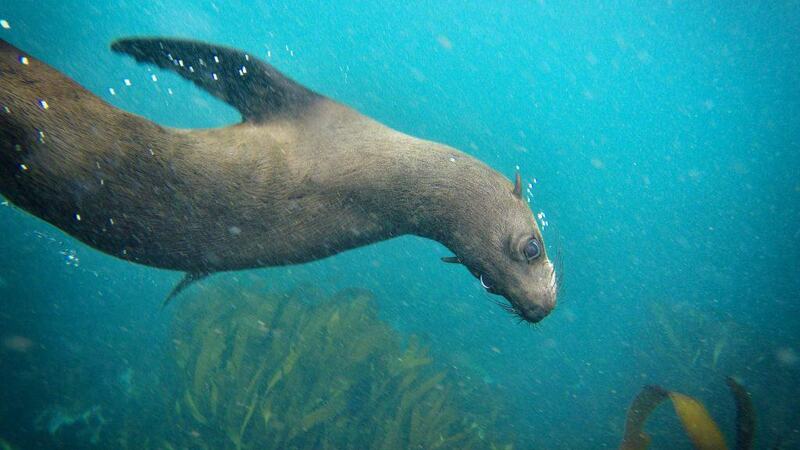 If you’re not going to swim in the ocean just go with a reliable name brand. If you’re wondering what necessities to bring to Africa then sturdy shoes are perhaps the most important thing you will need before you get to Africa. I love my Merrell Moab Ventilators and have been going strong in them for two years! Check out my other recommendations on women’s shoes, and we have a post on the best safari boots. For those Cape Town summers it’s a tremendous idea to have a comfortable sundress. Not only is it more comfortable, but it’s also cute. Tasha got the Cantine Dress from prAna this year and has loved the sundress. A good pair of sandals is great for being comfortable on any day in Cape Town. The city is super laid back and relaxed and a sturdy pair of flip flops is well worth the investment. I travel with my Rainbow leather flip flops which have gotten me through 80 countries so far. We spend 90% of our time in a pair of sandals when traveling around Africa. The only time we opt for our boots is on bush walks, long hikes, and in busy dirty streets. I love my buff. I usually wear it for keeping my hair back, but it’s also served its purpose as a scarf and wet rag too. Buffs last for years and aren’t only helpful in Africa. I actually wear mine every day when I’m snowboarding in the mountains. It’s been one of my top travel accessory investments ever!